I no longer have a set of kitchen canisters on my counter top, but canisters can be used for both traditional purposes and for storing all sorts of other stuff. 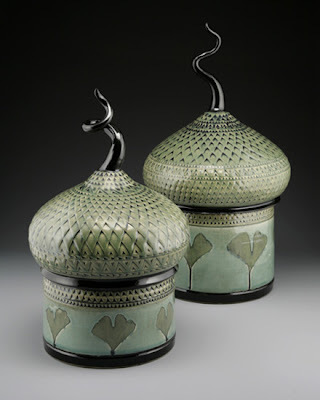 The canisters above are one-of-a-kind by Suzanne Crane - and very expensive - but there are lots of interesting canisters out there. 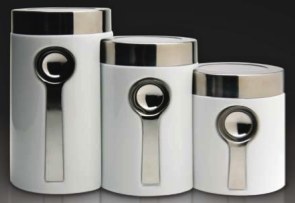 For a simple and elegant look, here are some stainless steel canisters. Update on Oct. 14, 2012: I'm no longer finding these canisters. 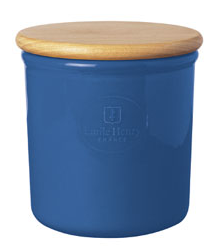 I never realized until tonight that Emile Henry makes canisters. Update on Oct. 14, 2012: And it seems the company no longer does. And another simple look are the copper canisters from Old Dutch International. 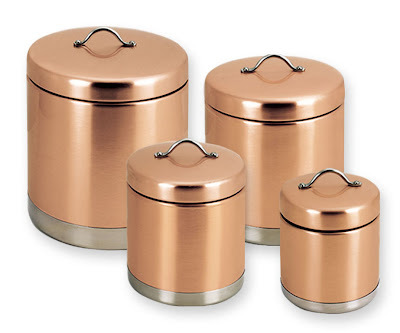 These are the brushed copper; they make hammered copper canisters, too. Update on Oct. 14, 2012: I'm not finding these any more, either. 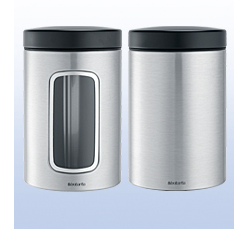 Brabantia has canisters with windows, so you can see how full they are. 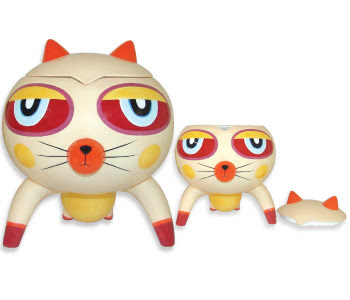 The miam.miam Cuddle Canisters are clever. 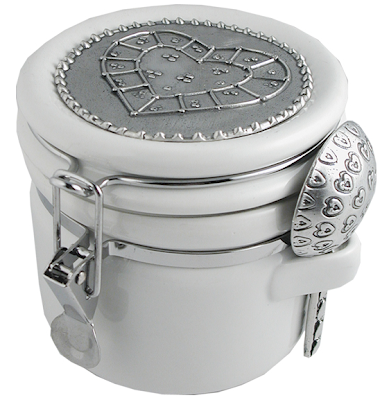 And Tin Woodsman Pewter makes coffee canisters that come with spoons. Update on May 9, 2010: Tin Woodsman Pewter is now Crosby & Taylor. 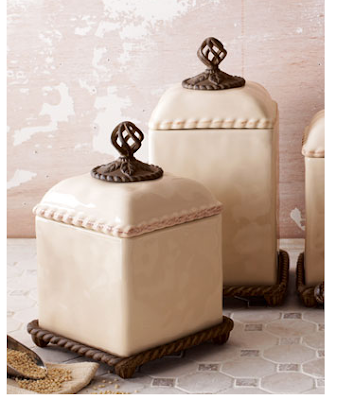 Gracious Goods ceramic canisters come from Italy. Greenport Pottery makes stoneware canisters. 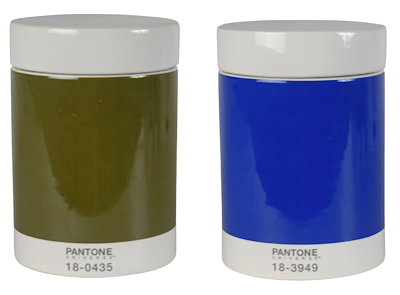 The Pantone canisters are fun for anyone into color; I just wish there were more than five color options. 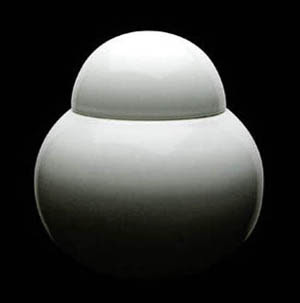 Update on Oct. 14, 2012: I'm no longer finding these exact canisters, but I can find something similar in red and black. OK, enough with the restrained looks. 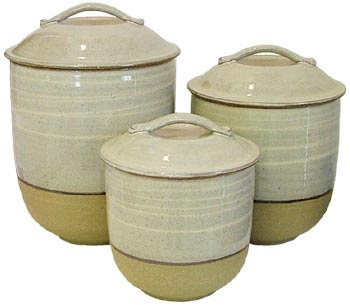 Here's a pueblo canister set, available in four different colors. 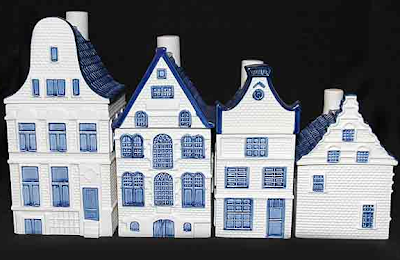 Or for a different style of building, there's the Delft canal house canisters. 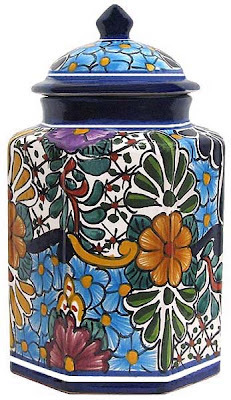 If you want colorful, there's always the Talavera canisters. And finally, I just couldn't resist these kitty canisters. Update on Oct. 14, 2012: These seem to have disappeared from the marketplace.